Your pet is a member of your family too! Here you see an example of a fillet (internal frame), one of our many options to highlight your images. 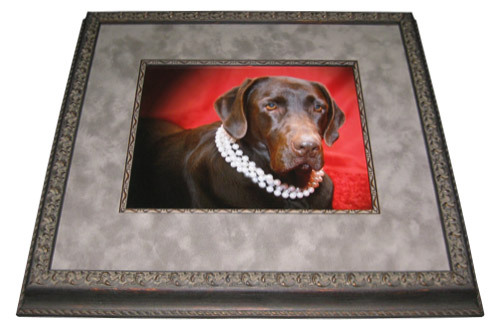 We are happy to refer you to photographers or frame your pet photos.